I live in the most generous city in the United States…maybe even in the world. Anytime there is a need, whether it is for coats, school supplies, food, toys, Bakersfield steps up. Big Time. There are many local churches and charities that sponsor these events, and not just at Christmas, but throughout the year. 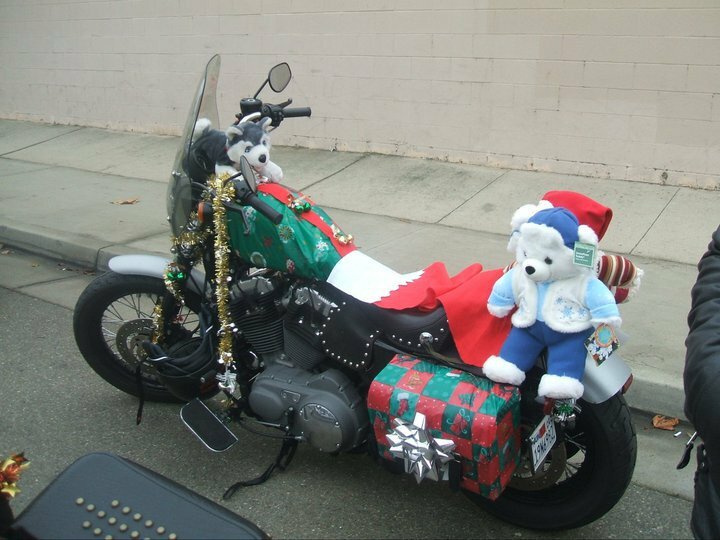 But one of the biggest and best is the Annual Bakersfield Christmas Toy Run. 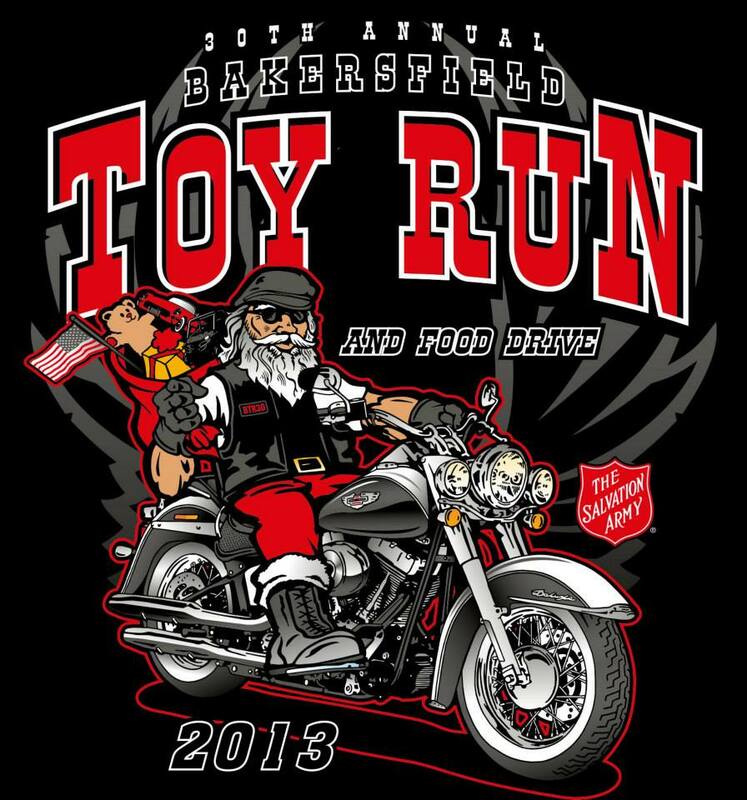 Bakersfield’s Toy Run began 30 years ago with 50 riders. This year 7,000 people on almost 6,000 motorcycles participated. Along with classic car enthusiasts, ATV riders and off-roaders, they gathered in the 30 degree cold weather at Beach Park and rode for five miles to the Kern County Fairgrounds. This is the biggest Toy Run in the state. This year 3,000 toys, one ton of food and $30,000 in cash were collected to help out our fellow Bakersfieldians. The Toy Run partners with the Salvation Army, who says this event helps 1,000 families every year. 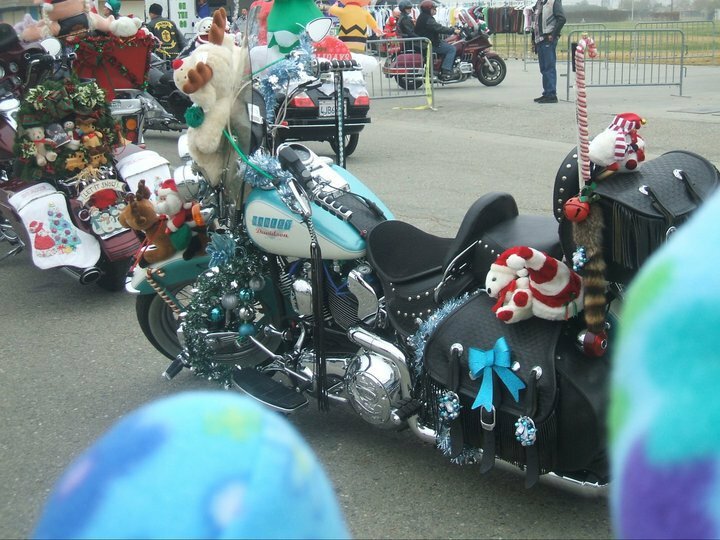 Photos by Dana Polson from the Bakersfield Toy Run Facebook page. After the ride, there were booths, food, and a live band at the fairgrounds. I just kept wandering around…and around…and around… There were Bikers for Jesus and Hell’s Angels… There were more tattoos, leather and testosterone in any one place than I’ve ever seen. I was in romance writers heaven…didn’t…want…to…leave….. I can honestly say that this ride was probably the most spectacular and memorable thing I have ever done. P.S. 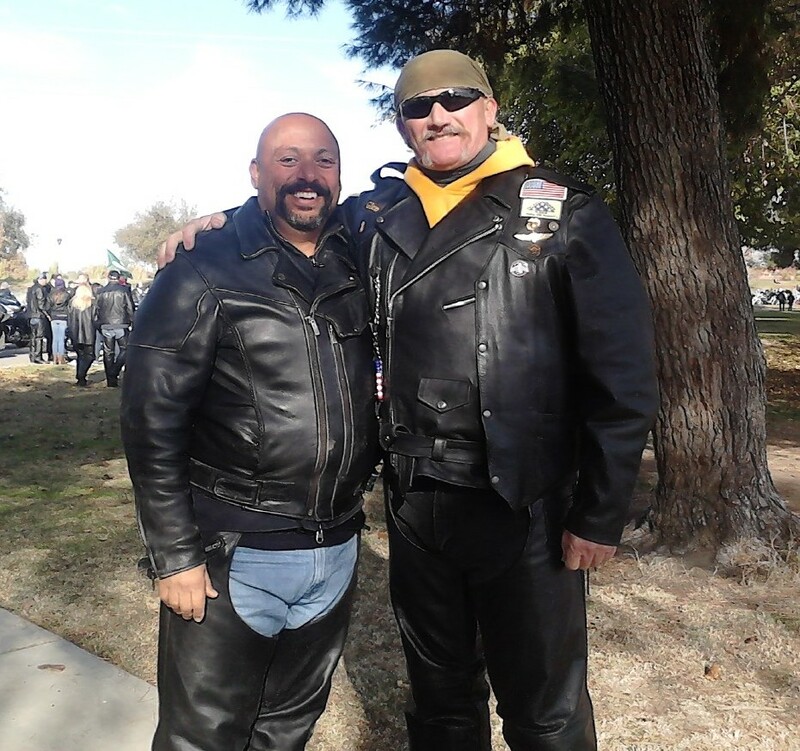 – I ride behind my own hunky guy with the American Legion Riders, Post 26. And for those of you who come here to see pictures of hunkalicious men – here’s one just for you. This is model Angel Macho…more on him to come.